Japan Centre Online is also offering the chance for two lucky customers to win a set of the 3 new releases on DVD and Blu-ray. 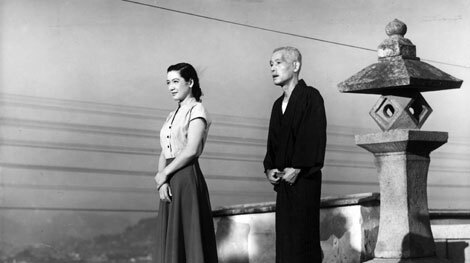 All you have to do is enter ‘Ozu DVD Competition’ in the comments section below or when placing an order online and you will be automatically entered into our Prize Draw! Good luck! Competition now closed. Thank you to all those who entered on our blog and through orders. The winners have now been contacted my email so check your inboxes! It´s amazing! !I like all his Films.And those are the ones I really would like to see!! For me Yasujiro is the best Japanese Director!! Wow! A wonderful opportunity for a glimpse into the ‘Japanese way’ of the 50’s.